Tech Blog: What is Spring Boot Initilizr? What is Spring Boot Initilizr? Spring Boot Initilizr is a web tool which is provided by Spring on official site using which Spring Boot project can be created by providing project details. It simplifies Spring Applications Development by providing initial project structure and build scripts which reduces development time thus increase productivity. · Select Maven project and dependencies. Fill other details as shown below and click on generate project. 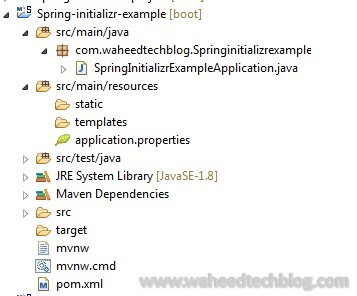 · Download the project, extract and now import this project As Maven by using Import option from the STS (Spring Tool Suite) IDE. · Spring boot generates a Java file in the src/main/java directory, pom.xml file with all required dependency. 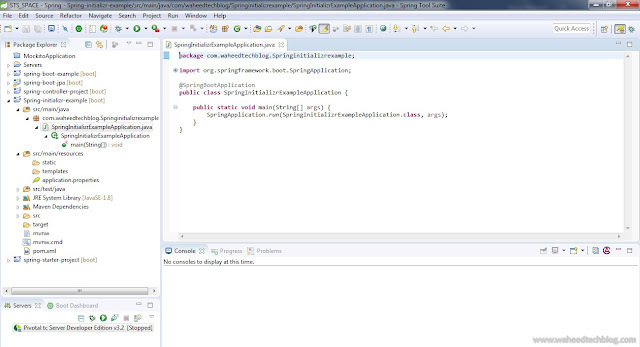 The default created Java file is the below. · Now run this project by selecting Java Application from run options and you will see the following output.